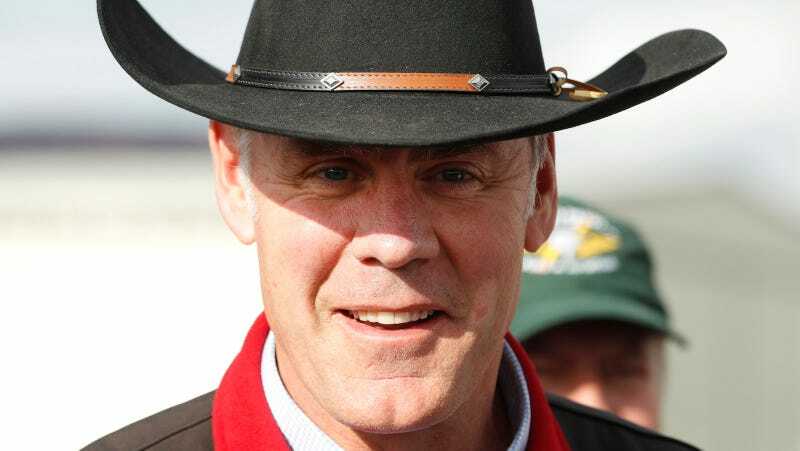 Over the past several months, Secretary of the Interior Ryan Zinke has bumbled around the country in a cowboy hat conducting a review of 27 national monuments established since 1996 to decide whether they should be shrunk down, left alone, or abolished altogether. His deadline is just a week from today, but as conservation group the Center for Western Priorities just pointed out, he appears to be having an outdoor adventure on a different continent right now. According to an internal tally by the Center for Western Priorities, Zinke, who is busy filling the Interior Dept. with energy industry allies, has only visited 8 of the 27 national monuments up for review in his capacity as Interior Secretary. There is no legal precedent for a president to eliminate or significantly reduce a national monument designated by a predecessor under the Antiquities Act, but it sure seems like the Trump Administration is gonna try—after all, what are beautiful, lucrative protected wildernesses good for if you can’t tear them apart to increase profits for the fossil fuel industry? It’s not particularly clear that visiting them would change his mind; after seeing Bears Ears National Monument in southeastern Utah, established by President Obama at the end of his presidency, Zinke recommended significantly downsizing it. Although Sec. Zinke has announced that he will recommend no changes to Grand Canyon-Parashant National Monument, Sand to Snow National Monument, Upper Missouri River Breaks National Monument, Canyons of the Ancients National Monument, Craters of the Moon National Monument, and Hanford Reach National Monument, that still leaves a number of protected natural wonders up for review that Sec. Zinke hasn’t actually been to. Could Zinke (or anyone) visit 19 monuments in 7 days? If so, it would no doubt make for a fun—if rushed—road trip. We’ve reached out to the Interior Department for comment on Sec. Zinke’s vacation plans and to confirm the number of monuments he’s visited, and will update if they respond.